Build popular robots that transform and command them with codes using programming software. 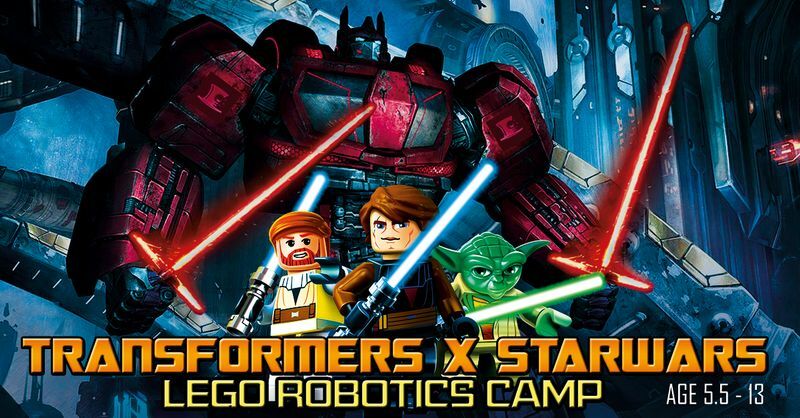 Send your best Jedis robots in this epic challenge against the dark lord. May the codes be with you. For age 5.5 to 13 year old, participants will pick up various aspect of STEM (Science, Technology, Engineering, Mathematics) by creating different robotic mechanism and learn programming / coding concepts while working on their computational thinking. View past photos of our camps at our Facebook page: https://www.facebook.com/Wonderswork/photos/?tab=album&album_id=963318523703641.